Integrated Computer Solutions was established in the year 2000. We are leading Service provider of Business Accounting Software, Erp Software, Manufacturing Software etc. 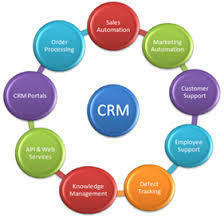 To meet the variegated demands of the clients, we are instrumental in rendering ERP Software. This ERP Software is widely demanded in different commercial and industrial areas. To get the total satisfaction of the customers, we provide this product at industrial leading price. This ERP Software is helpful in managing and automating a business process and back office operation.